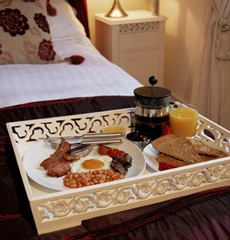 Breakfast at Thorpe House is a truly luxurious experience with breakfast served in your own room. We ensure that everyone’s tastes are catered for with a selection of fresh juices, yogurts, freshly baked croissants and pain au chocolat, freshly prepared fruit salad, homemade muesli and cereals. Guests can also enjoy an excellent grilled and oven cooked full English breakfast as well as alternative options including smoked salmon and scrambled eggs. 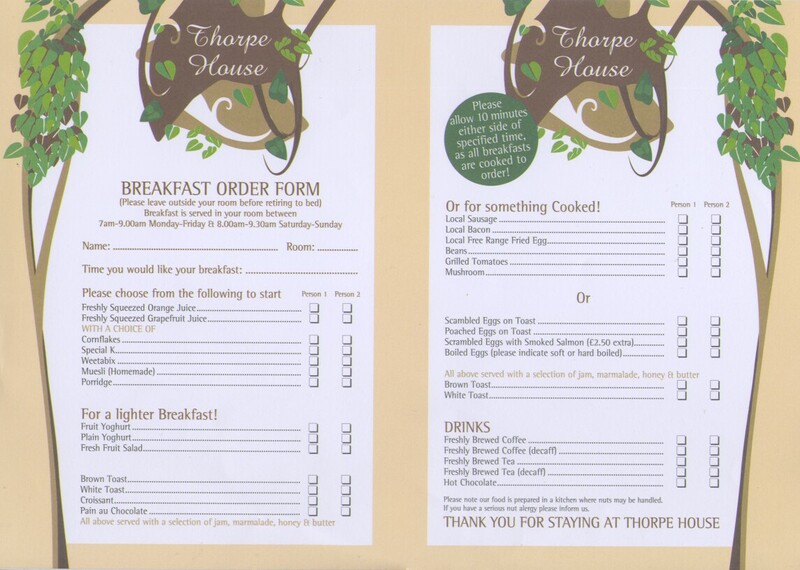 please see the Breakfast order form. There is a wide selection of freshly brewed teas including fruit and herbal varieties and decaffeinated teas and coffee. We can also cater for those with special dietary requirements, including vegetarian, vegan, gluten-free and dairy-free.